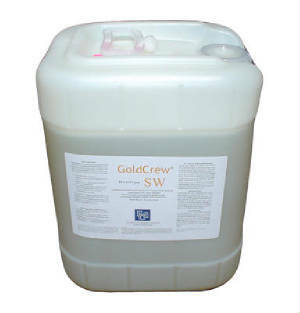 Gold Crew SW is an EPA NCP listed surface washing agent used for the cleanup of oils in and around navigable shoreline waterways. Releases oils entrained in vegetation, rocks and cobble. Allows for recovery while minimizing shoreline intrusion. Designed for use on inland waterways and ravines or shoreline application. 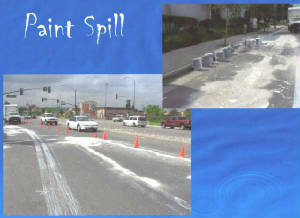 Excellent for all around spill response activities on land. 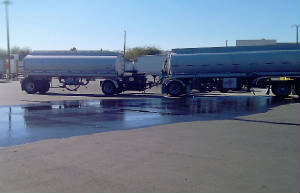 Gold Crew SW is on the U.S. Environmental Protection Agency's NCP Product Schedule. This listing does NOT mean that the EPA approves, recommends, licenses, certifies or authorizes the use of Gold Crew on an oil discharge. This listing means only that dada have been submitted to EPA as required by subpart J of the National Contingency Plan, 309.915.